Araw ng Makati 2013 holiday? Street parties and mass weddings were also held last May 26, 2012. Check this website for the complete list of activities last year. No announcements were made yet for this year. Maybe the Binays are still busy celebrating their election victories. 🙂 Please check back for updates. 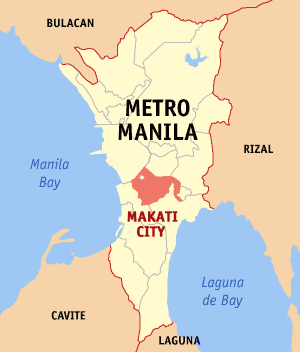 For decades, Makati City used to be a visita of Sta. Ana de Sapa under the jurisdiction of the Franciscan missionaries. By 1670, it became an independent municipality. It was named San Pedro de Macati in honor of its patron, Saint Peter. Makati City was declared a highly-urbanized city through Republic Act 7854. It was signed by then-President Fidel V. Ramos in 1994. Read the Makati City Charter here.